Vesselin Gueorguiev, Assistant professor, Department of Computer Systems and Control Technical, University of Sofia, Bulgarian. Ivan Evgeniev Ivanov, Vice-Head Department of Systems and Control, Head Advanced Control Systems, Laboratory Technical University of Sofia, Bulgarian. The joint research with Medical University Sofia in the area of e-Health and Telehealth is oriented to complex investigation of new concepts and methods for continuous acquisition of patient\'s vital data, transmission, collection and binding of that data for diagnostic and disease tracking purposes as well as investigations on relevance of life quality and healthcare based on the e-Health technologies. The aim of this paper is to present results obtained in the context of the "Medical data acquisition, processing and collection for e health solutions" joint research project for investigation, design, organisation and future expansion of a hospital information system. The research started with deep investigation of current status of hospital information systems on the territory of the Medical University Sofia and implementation of pilot version of integrated solution. Elimination of the usual paper-based information exchange to e-health and IT-based one is one of the major project topics. Medical University Sofia is a huge hospital complex distributed on a large territory and has tens of different clinics, laboratories and buildings. Interface incompatibility between different medical systems and apparatus - Medical systems from different vendors are incompatible. Most of them are designed to transfer data directly to computer application with HMI. Data are distributed, heterogeneous and changeable“- Hospital medical systems collect a diverse variety of patient information represented in many digitized or hard-written types. Creation and support of patient’s analyses library is a problem solved under presented project. Data validity, security and protection - Data validity is very important to make decision-making process stable and safe. This includes time validity and safety and security of delivery. Data access and privacy are very important and have to provide end-to-end security and validation in the system. Tracking patients when they are out of the hospital – technical, medical and economical aspect. IT problems of a) archiving and b) digitalisation of paper-based video-images. Improvement of analyses of medical video-images. Of course, this list cannot pretend to cover all possible aspect of hospital information systems, solutions, problems and similar. At the end of this material is presented briefly the structure of implemented intelligent hospital information system. 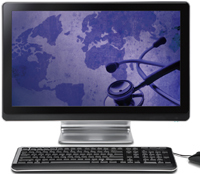 Integration of available medical apparatus and software systems in new system. Starting with the investigation of how to integrate available equipment in one system we contacted directly vendors’ representatives for detailed technical data. Equipment includes from very modern to 10-15 years old machines. Interfaces to humans and to other computers vary much. Computer interfaces include RS232 / RS485 and Ethernet wired connections, floppy-disk data exchange and on-screen or printed output. Protocols are very different, too. All of this stands as big challenge to the integration team. We contacted technical groups supporting other hospitals and found that even products from one and the same vendor are not fully compatible on interface and protocol levels. As an example can be shown DICOM-based image systems. DICOM has variety of dialects and needs additional processing to make all sources fully compatible with all visualisation systems. A hospital medical system collects a variety of patient information represented in many digital or hand-written types. All over the world, a huge number of standards of organisation and representation of the Electronic Health Record exist(HER). Unfortunately, many of them depend on local law regulations and even in European Community they are not synchronised. Hospital data (not originally included in HER) are harder to track they include information from many sources – diagnoses, many types of laboratory results, imaging results – X-ray / ultrasound / scanners / Doppler, medications, consultations. These data are very distributed. In a large hospital like the Medical University Sofia original data are held on the laboratories and clinics servers. They have to be exchanged and bound in patients’ records. Such a data base did not exist before the beginning of this project. One of the biggest problems was the fact that data are very changeable, the amount increased all the time and the structure depends on uncontrollable variety of external (mostly human) factors. Today, an information system based on unified generalised structure which covers all types of available is implemented in the MU Sofia medical information system. Many providers offer closed multi-layer systems which does not allow their sensors to be used with other systems and also excludes the possibility to extend the system with other sensors. When such providers do not offer a full list of sensors, remote patient support becomes limited to the available peripherals. Another problem is that some data acquisition software for smartphones is very aggressive and starts to connect and transmit acquired data to the upper system levels without user permission. This increases the exploitation price and lowers battery life. Uninterrupted usage of any type of sensor is impossible. Phone’s battery cannot last more than 6 hour on intensive Bluethoot or WiFi communication. Investigation oriented to sports control envisaged that this technology can be used only for approximately short training processes. From the very beginning of experiments, supervising medical doctors concluded that this remote control over their patients’ data helped them to prevent possible dangerous situations but this needs a lot of human effort. A system to control vital parameters is needed. It cannot be simple “in/out of boundary” control but complicated multi-variable decision-making system. Presently, some work is in progress but it still needs a lot of investigations. Instructions to patients about interpreting very simple raw data from sensors decreased number of hospital visits based on apprehensions. Psychologically, patients felt much comfortable when they knew somebody keeps an eye on them. Thus hospital expenses were decreased. One important remark is that because of financial limitations, number of obtained sensors is relatively low and the investigation was useful for experimental conclusions and future directions but is not enough representative for statistical purposes. Developing and implementing hospital information systems including remote data acquisition requires strong data protection. But before this, some other problems important for the patients have to be resolved. First is data validity. Investigating paper-based process we found that in many cases information is wrong or interpreted inadequately or simply lost somewhere in document paths. This is a well-known administrative problem but here it is important because human health depends on it. Remote data acquisitions via smartphones need data validation and time stampings. Because sensors are worn by patients and acquisition and communication software is run by them too, improper measurements and operations are common. Inter-hospital data exchange is not always marked properly. Results for one patient can be assigned to other. This is a usual human error – to mark a box near the exact one or to change some letter or digit. On the one hand, medical doctors are overloaded and normally hate to go trough deep and strong security system. From patients’ side, data protection and security are very important. These opposite restrictions make solutions hard to design. Currently, we think that only hardware identification systems fast enough and easy to use can solve identification problems and access rights, but even this opens a new domain of problems. Designing the solution for integrated hospital information system required us to think how to transfer current archives in digital form. Of course, the problem for archive digitalisation has existed for more than 20 years. The main problem we had to solve was digitalisation of video imaging library. Investigation about possibilities to digitise images of different types envisaged that the on-hand solution to use flat-bed scanners is not applicable. Available scanners for large X-ray pictures start from US$15000. Services for film scanning are from US$2 to 10 depending on picture and requirements. Financial limitations directed us to design low-cost scanners for all kinds of films and pictures. It is presented in. Its price is much lower and resolution is better than film grain. This system is equipped with software for images post-processing. Some results are presented in. A very important additional problem is the size of digital archive. For medium level Bulgarian hospital (covering 30000-50000 people) only DICOM library is more than 5-6 Tbs/year. Today, disk devices have huge capacities but nevertheless increasing hospital data server with 10TB/year is problematic. This work is started and partially funded by Bulgarian NSF under D002/113-2008 project. General structure of hospital information system. This network has to provide doctors access to huge data sources (e.g. pictures, video films, etc.) in the hospital. It is useful for accessing data bigger than 50MB via fixed network resources. Now bandwidth of 1GB is possible and this guarantees on-line diagnostics and data exchange between sources, doctors’ terminals and storage servers. It controls access over the local network, database consistency and tracks patients at home care. Fixed clinical network provides connectivity for all machines and apparatus in the hospital from one side and servers and personnel’s terminals from the other side. Additionally it guarantees better redundancy and offers possibility to control internal clinical networks loading. This network enables access for the medical personnel to data servers. Additionally, sensors and apparatus generating small amount of data can be mobile on hospital territory. 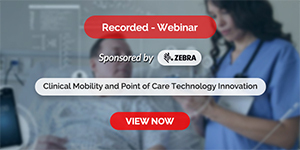 This guarantees unbroken control when patients can carry their vital data acquisition sensors or simply to move patients over clinics without loss of connectivity. It controls all administrative processes, hosts all records about manipulations (total and associated to every patient), personnel and patients archive, etc. Based on this, doctors can do different analyses and increase quality of medication. This is SAN network offering: on-line information for all patients; fast access to disease history and hospital archive. This is the core for future advances. Data mining services will be positioned there. A hospital grid with specialised servers will be built on this basis. 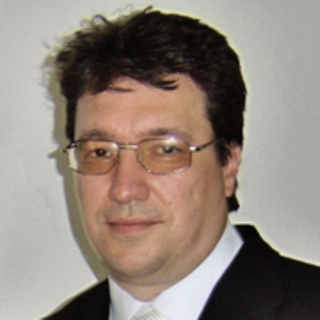 Vesselin Gueorguiev is also a member of Bulgarian Union of Automatics and Informatics. He has led a number of projects oriented to real-time computer graphics, program code analysis and distributed systems. 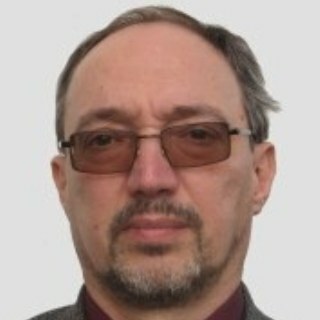 Ivan Evgeniev Ivanov is also a member of IEEE and Bulgarian Union of Automatics and Informatics. He has led a number of projects oriented to (embedded) computer control systems, heterogeneous distributed systems.